Sunsets in the Yukon never seem to end - which makes sense considering daylight can last 19 hours. A particularly colorful evening, viewed from the hot tub at the Boreale Ranch. It’s stated on our tickets, but when the plane’s wheels touch down, there’s no way to tell what time it is. It could be 7 a.m. Or it could be 7 p.m. That’s because during summer in Whitehorse, the capital of the Yukon, it’s sunny for 19 hours a day. Located at 60 degrees north of the equator, summer light in the Yukon is nearly inescapable, especially during the solstice, which is just a few days off. This means seemingly endless sunsets and riding at any hour, but it also means time is irrelevant—at least as us southerners know it. And as Claire Buchar, Jaime Hill, Chris Grundberg and myself step off the plane to meet Dylan Sherrard, we’re still trying to figure out if that’s a good thing. From abandoned cabins to grounded steamships, relics of Whitehorse's past are everywhere, but the influx of out-of-town license plates and bike racks symbolize a new age. Steamships brought countless miners and frontiersmen up the Yukon River, but these days all it takes to cross its cold waters is a quick trip across a footbridge. It’s not just a shocker for us. It’s also a homecoming for Whitehorse native Sherrard, who flew in a few days ago, and after years away he’s readapting to the strange, uniquely northerner schedule. He’s ready to show us the people and places of his youth, the unofficial training ground of trails, dirt jumps and gravel pits that would eventually earn him the nickname “Shred-Hard Sherrard.” But much has changed during his absence from the former Gold Rush supply town, so it’s also a chance for him to reconnect with—and rediscover—his hometown. As the legendary writer of the North, Jack London, put it: “The proper function of man is to live, not exist. I shall not waste my days in trying to prolong them. I shall use my time.” In the land of the never-ending sun, where the days are already infinite, we’ll soon learn it’s almost impossible to do anything else. Technically, it’s early in the afternoon, so after swapping hugs and high-fives with Sherrard we head through town toward Boreale Ranch, our accommodations for the next few days. Navigating the low-lying buildings of Main Street, we marvel at the snowcapped mountains and vast tracks of poplars visible in the distance. 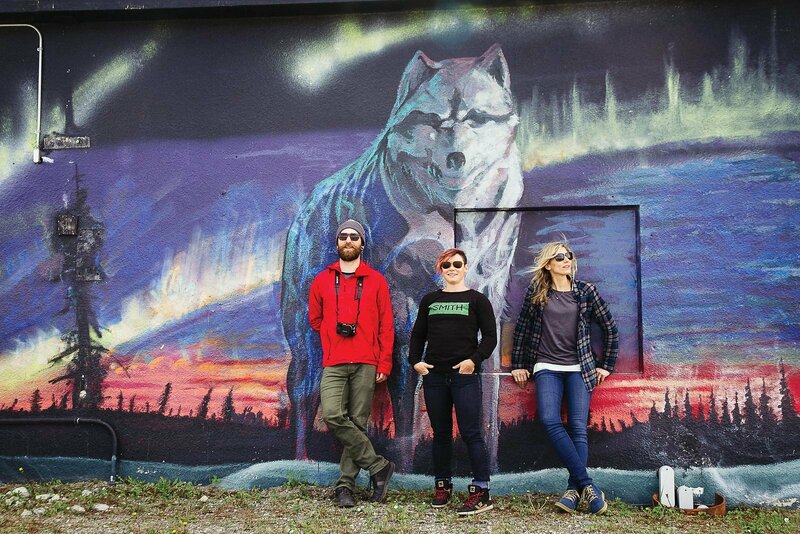 Dylan Sherrard, Jamie Hill and Claire Buchar in front in front of one of Whitehorse's many murals. It was those mountains—or particularly, what was over those mountains—that brought the first settlers to Whitehorse. As with many towns in the Yukon, Whitehorse’s origins lie in gold mining, specifically the Klondike rush of the late 1800s. What started as a jump-off point for prospectors quickly became a hub in the north, accessible by steamship, then railroad, then plane, and now by the lifeline of the Alaska Highway. 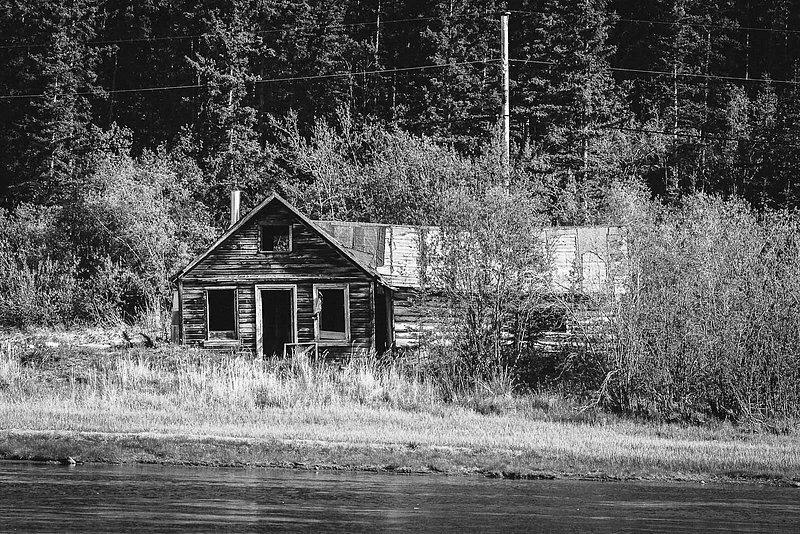 Located in the mild-weathered Whitehorse Valley and along a particularly navigable stretch of the Yukon River, the sprawling tent city soon began sprouting buildings, and by the time the town incorporated in 1950, it was the largest population center in Northern Canada. Now home to more than 25,000 residents, it still retains that title, and grows every year. More than a century since the Klondike boom, Whitehorse’s downtown still has the sprawling, varied vibe of the tent encampment that stood in its place in the 1800s. The city’s history is visible everywhere, from the grounded, tourist-packed S.S. Klondike Steamship, to the 117-year-old Old Log Church Museum, to the long-operating railway that runs along the waterfront. Huge murals adorn the old buildings, bringing a modern flair to the town’s obviously deep-seated appreciation for its heritage. 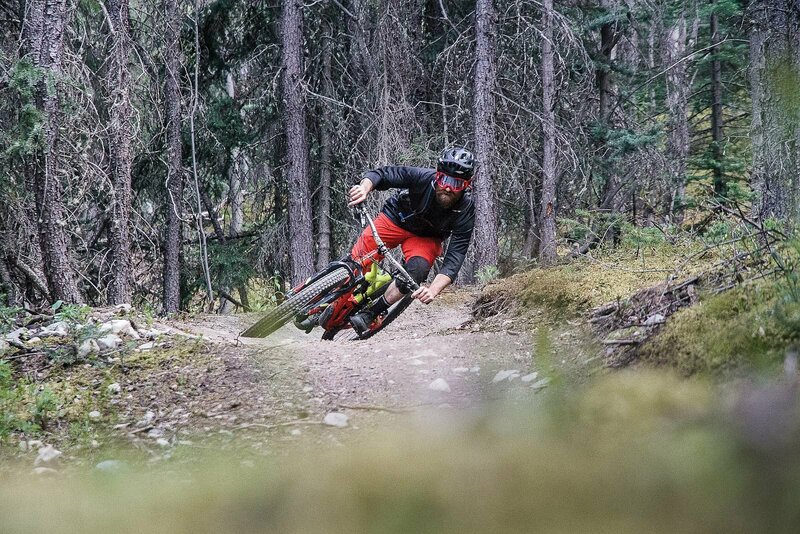 Growing up in Whitehorse, Dylan Sherrard got his first exposure to mountain biking on the area's rogue trails, sand pits and skate-park drops. 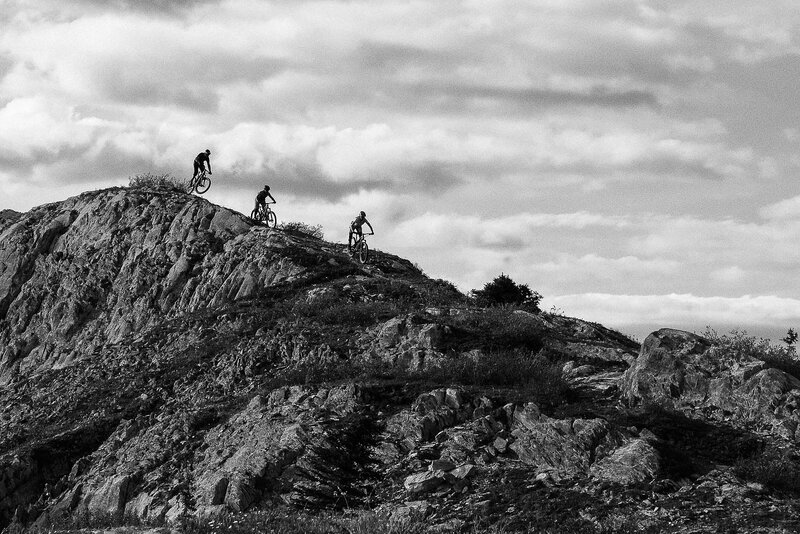 While many of Whitehorse's official trails are new, Sherrard rips them as hard as the classics. Sherrard wraps up the work, and we cross the Yukon River to 5,000-foot Grey Mountain. Grey is laced with an impressive network of trails, most of which are shuttle-able and dump out into numerous residential neighborhoods. At the base we meet up with some of Sherrard’s old friends and riding buddies, who lead us to an incredible lookout above town. The view is sprawling, encompassing the prolific emerald lakes and poplar-covered hills surrounding Whitehorse. We take our time, making introductions, enjoying stories about a young, pre-“Shred-Hard Sherrard” Dylan, and getting updates about how much the Yukon riding scene has developed since Sherrard’s childhood. 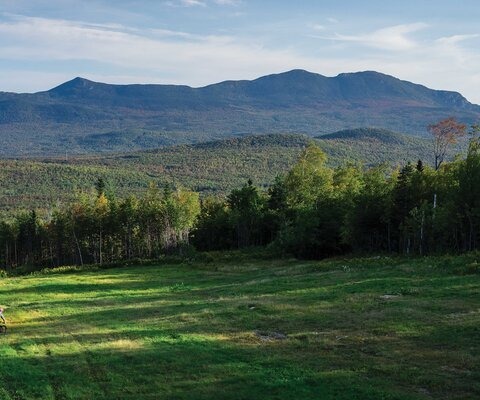 Over the past 10 years, the area has seen a boom in mountain bike tourism, with a burgeoning trail-building scene and local businesses catering to the sport. 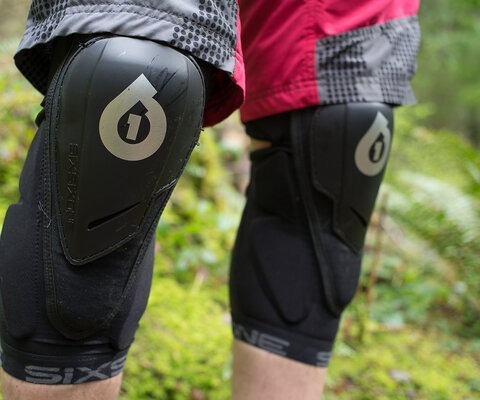 As a result, numerous established riding zones have popped up, the main ones being Grey Mountain, Mount Mac and Mount Sima, as well as Montana Mountain, which is an hour away. 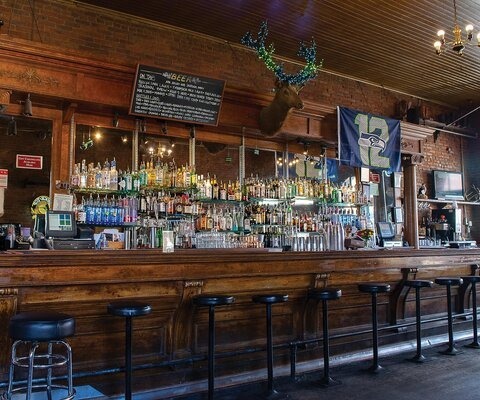 While the surge may not rival that of the Gold Rush, it has injected welcome dollars into the economy and a fresh spark into the local culture. Soon the view is drenched in warm, fading light, the type that signals to us southerners it’s time to drop in. 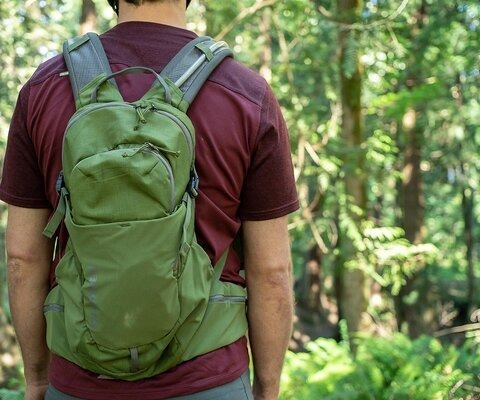 The natives aren’t hustling, and Sherrard eventually leads the crew down Easy Money, swooping through the stunted birch trees and open hillsides before veering off onto El Camino, another local favorite. The high-speed singletrack is deceptively narrow, our handlebars grazing tree trunks despite the open feel of the forest on either side. Eyes up, rubber down. 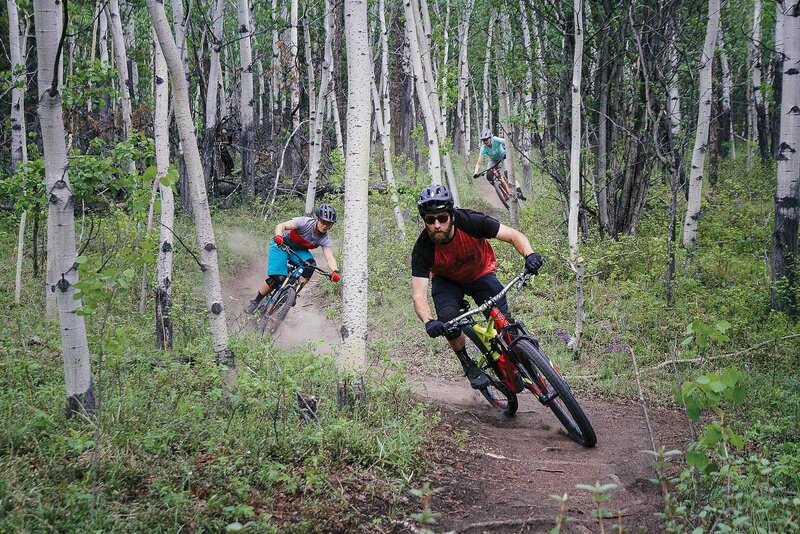 Dylan Sherrard, Jamie Hill and Claire Buchar weave through a stand of birch trees at the bottom of Grey Mountain, a short pedal from post-ride burgers and beer in town. Despite our concerns, it’s still light out when we pull into the trailhead parking lot; it may be 11 p.m., but it feels like 8. We load the bikes and head back to Boreale, finally realizing why, in the Yukon, there’s no reason to rush. The next morning, we head out with a different objective—touring the old haunts of Sherrard’s youth, and visiting the fixtures of Whitehorse’s current mountain bike scene. The ride obviously starts with coffee, at the locally legendary Midnight Sun Coffee Roasters, which just happens to the be in the same location as Icycle Sports bike shop. 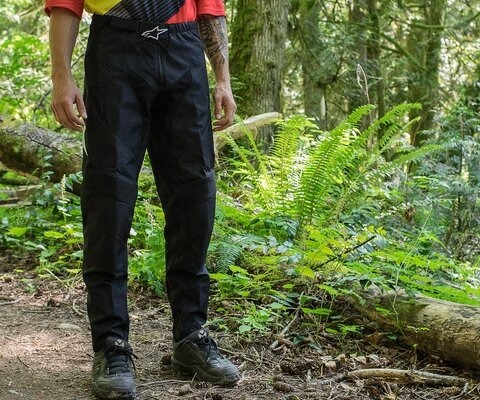 Both businesses have long been woven into Whitehorse’s mountain bike culture, and over the years have developed their own cult following. Visit either at any time during the day, and you’re guaranteed to find a rack full of customers’ bikes sitting under the raven mural on the side of the building. 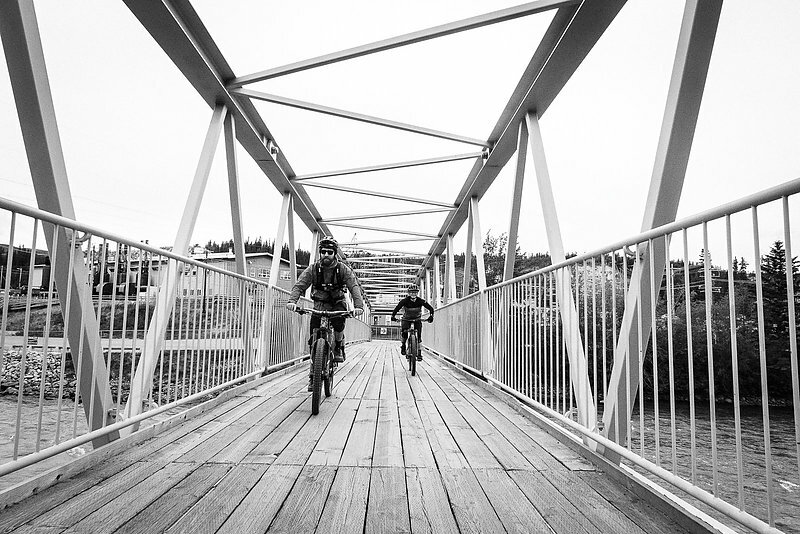 With our caffeine cravings satiated, we pedal back toward Grey Mountain, crossing the river on the city’s elaborate network of urban trails. As we ride, Sherrard points at the clay cliff drops, the skate park, the old sandhills and the overgrown jumps that were his playground as a young rider. At one point he tells us how he used to practice hucking to flat at the schoolyard, because transitions scared him. While much of the scenery is familiar to Sherrard, there is plenty of new development to surprise him. Trails that were illegal during his childhood are now sanctioned, maintained city trails, adding to Whitehorse’s already impressive mountain bike infrastructure. And it’s growing every year. Grey Mountain is one of Whitehorse's nearest established riding areas, accessible by a long pedal from town. Once up top, it's totally worth the struggle. Claire Buchar, Jamie Hill and Dylan Sherrard ride from the summit of Grey, under a similarly shaded sky. The zone that’s seen the biggest change, however, is an hour south of Whitehorse, in a place called Carcross. Originally known as Cariboo Crossing, the tiny community is home to a relatively new and carefully crafted trail network on Montana Mountain, the result of a unique partnership between local mountain bike advocates and the First Nations. 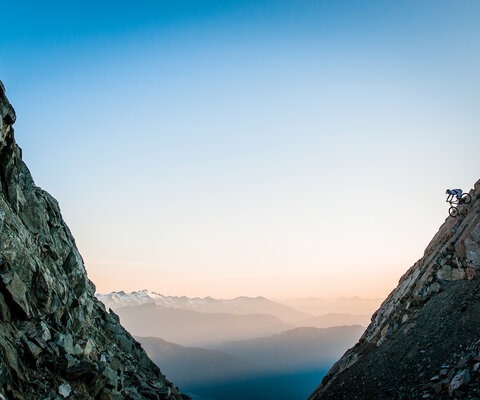 Traditionally the lands of the Carcross/Tagish First Nations, the area has been under development since 2006, spearheaded by a program called Singletrack to Success. 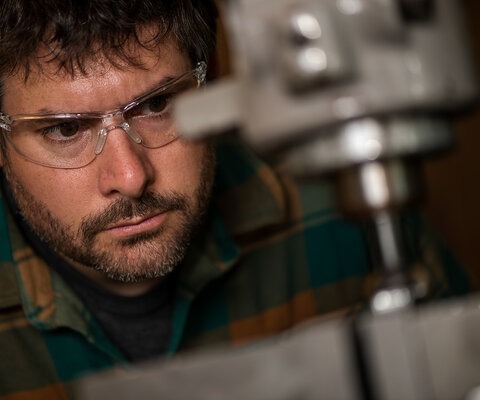 Singletrack to Success employs more than 15 youth annually, who build and restore the local multi-use trail systems. Since its inception, the program has opened 25 miles of singletrack, with a proposed network that will encompass approximately 60-plus miles. These trails have done more for the community than provide great riding. Carcross was once dilapidated and nearly deserted, but a tourism boom has turned the area into an enterprising destination. These trails have done more for the community than provide great riding. Carcross was once dilapidated and nearly deserted, but a tourism boom has turned the area into an enterprising destination. The colorful buildings have new life, the harbor hosts all types of boats, and the surrounding mountains are as scenic as ever. Carcross’ revival has been so impressive it’s even attracted royalty—Britain’s Prince William and Princess Kate visited Carcross during a vacation last year. We’re equally entranced, and spend the entire day in Carcross, first spinning laps on Montana Mountain before wandering through the cozy, idyllic community. We debate visiting the Carcross Desert, at one square mile considered the smallest in the world, but it’s getting late and we decide to head home instead. Even here, you have to sleep sometime. Views from Grey Mountain never disappoint, and neither do the trails. Jamie Hill leads Claire Buchar and Dylan Sherrard down Money Shot, which - connected with a few other trails - descends 2,600 feet to Chadburn Lake. We have two days before our flight home, so the next morning we return to Grey for one more ride: Money Shot, the trail that falls from the mountain’s summit. The view from the top is as stunning as it was the other evening, with the midday sunshine lighting up the bottoms of the crystal-clear lakes a thousand feet below. The black flies are vicious, however, and we drop in to escape after only a few moments. 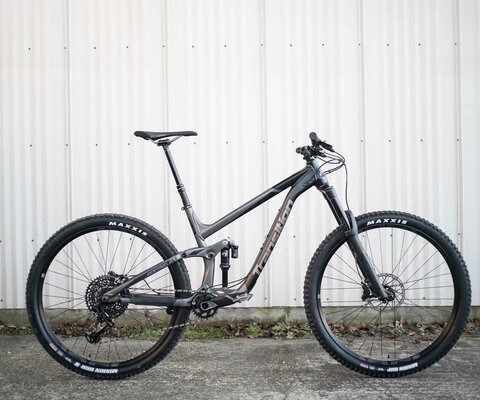 But that’s fine; almost immediately, we’re ripping through loose, deep loam and sections of shale, searching for traction on the trail’s many blind lines. It’s the best ride of the trip, something upon which we all agree enthusiastically at the bottom. Sherrard admits he’d strategically saved it for last. 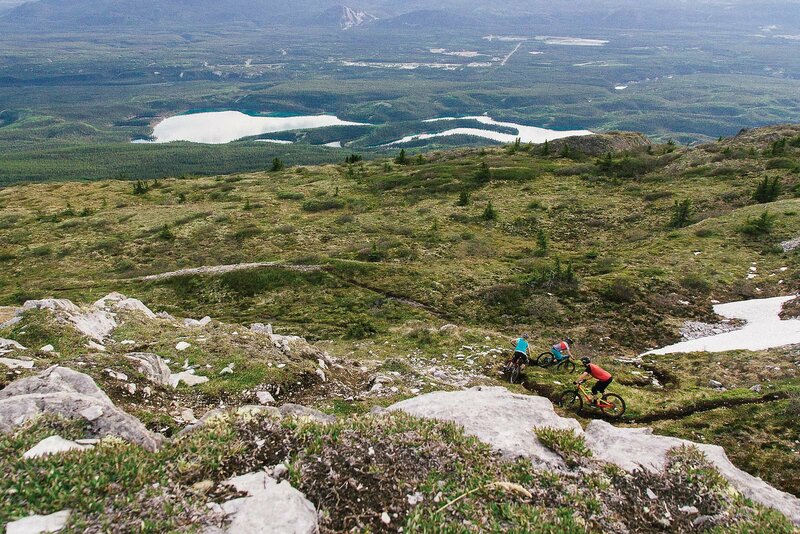 If there’s anything that captures the quality of Whitehorse’s trails, it’s Money Shot.